If Maven is not installed, download Maven from https://maven.apache.org/download.cgi. Let's say apache-maven-3.5.0-bin.tar.gz is downloaded to /home/john.doe/Downloads. Use tar to extract the downloaded package. In Mule, select Help > Install New Software. Select Mule Runtimes for Anypoint Studio, check Anypoint Studio Community Runtimes, and select Next. In Mule, select Window > Preferences. 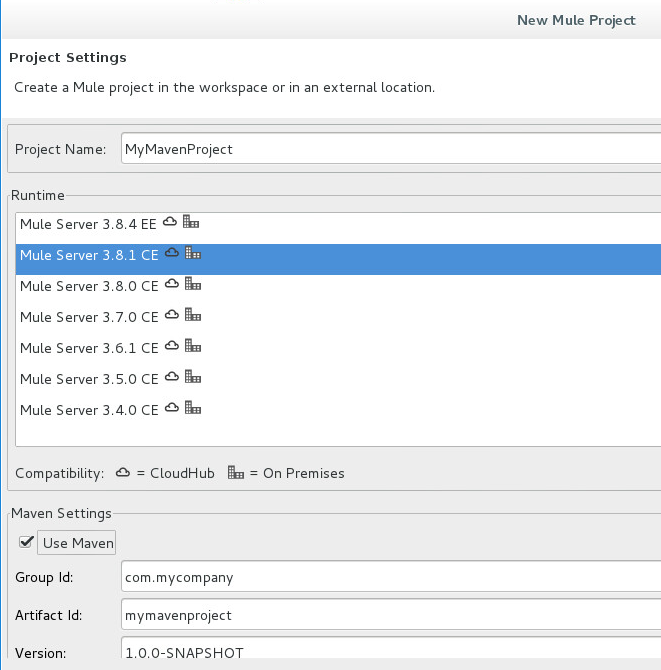 In the left panel, expand Anypoint Studio and select Maven. Select Browse, navigate to /etc/maven/apache-maven-3.5.0 and select OK. 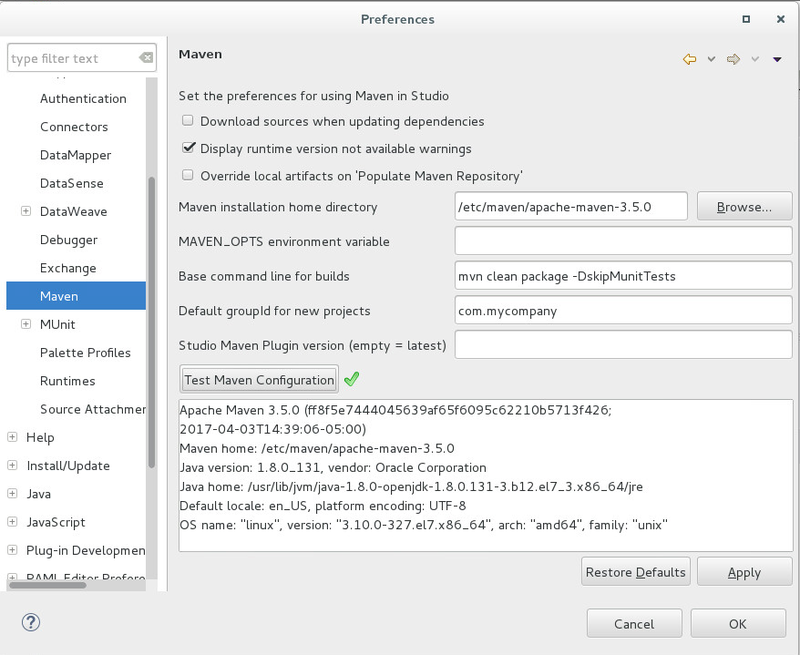 Select Test Maven Configuration, and ensure a green check mark is displayed. Give the project a name, such as MyMavenProject, check Use Maven, and select Finish. Note: If using a Community Editon version of Mule, ensure you select one of the CE (Community Editon) Runtimes. Select the Set Payload connector, and set value to Hello Maven. In the top menu, select Run > Run As > Mule Application with Maven and select OK. The Console should display the name of your project and a status of DEPLOYED.